Italy's favorite Extra Virgin Olive Oil comes to America. 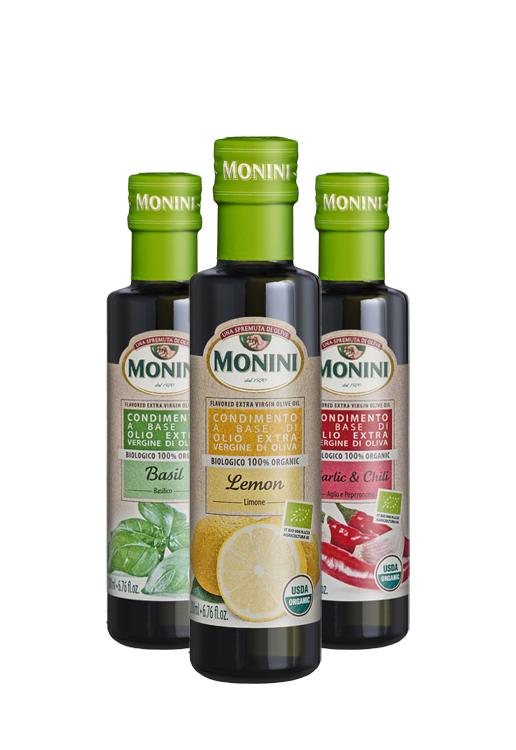 Where can I find Monini products? The label of guarantee was awarded to Zefferino Monini by Matteo Fago, publisher of Il Salvagente. Based on your geographic location, Monini products will be highlighted to the app subscribers in that region and there will be an instant $1/off coupon applied to whoever buys product thru the application. The unmistakable pungent flavor is a result of the abundance of polyphenols, powerful antioxidants to which modern medicine attributes a fundamental role in defending the organism from oxidation and cell aging. Portraits of the people who help us to take nature to your dining tables every day.